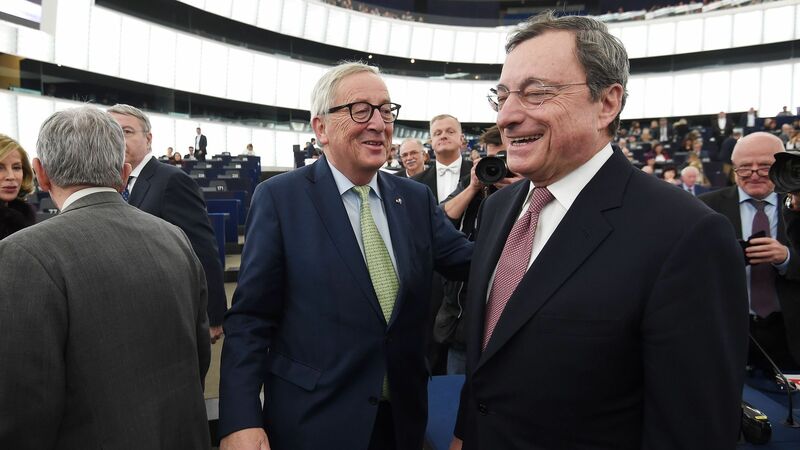 European Central Bank President Mario Draghi gave hints that he may continue the central bank's bond-buying program through this year, saying the economy of the 28-member bloc is weaker than he previously expected. What's happening: The central bank just last month began to phase out its bond purchase stimulus program that has totaled 2.5 trillion euros, in a first step toward higher interest rates. Interest rates on some deposits are still negative in the euro zone. Germany's 5-year low in economic growth reported this week along with unimpressive reports from Italy, Britain, France and Spain (the euro zone's largest economies) in recent months have given that impression, even as the bank said it would solider on raising interest rates and cut its 15 billion euro per month stimulus. Draghi also highlighted risks from Brexit and the economic slowdown in China.